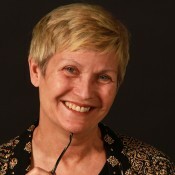 As a registered psychotherapist Carol O'Dowd, maintains a mindfulness based practice using eastern and western therapies such as Naikan, Morita and Applied Existential Psychology. Her sessions are designed to reduce stress, as well as manage anxieties, grief, loss and trauma. Carol helps individuals and groups partner with wisdom, internal and external, to discover opportunities in life and achieve success. Carol has a counseling office in Arvada, Colorado on grounds with walking trails for mindfulness exercises, and a peaceful courtyard and serene open areas for outdoor sessions. Throughout 12 years of practice, my goal has been to facilitate self-discovery, healing and growth for individuals, couples, families and larger groups by making them aware of emotional barriers that can prevent them from creating the life they desire. My specialties include grief and loss due to death or divorce, as well as new parenting issues and post-partum depression. Change is difficult, yet it can also lead to an incredible journey full of surprises. Often, my clients discover a wealth of information about themselves and their families along the way. I am a registered psychotherapist specializing in somatic counseling. I work with clients from pre-teens to adults of all ages, individuals, couples and families. We use sensations, body awareness, and movement to work with what is coming up for you. My goal is to always have a curious perspective, helping let go of judgment for any humanly challenges, discomforts, and feelings. Issues can vary from physical symptoms that cause discomfort in daily life to anxiety, body image issues, wanting more happiness, self-growth, depression, social skills, self-esteem, shame, stress, spirituality, motivation, relationships and resistance. Please contact me for a free 30 minute initial meeting to discuss what you are looking for and if you have any questions for me. Mark Oberg, M.A., L.A.C., L.P.C. I am a graduate of Naropa University's Contemplative Psychotherapy program specializing in life transitions, addiction, and recovery in all forms. I believe strongly that all people have the capability to be happy, healthy and feel purpose. Sometimes, however, we may lose sight of the things that have supported us in these pursuits. I work therapeutically with individuals and couples to help each person reconnect with the areas of their lives that promote the wisdom inherent in each of us. Working in a client-centered, compassionate environment, I feel that it is possible reclaim our proper seats at life's table; more able to accommodate suffering, while also remaining open to life's infinite beauty. To schedule an appointment, please feel free to email markobergcounseling@gmail.com or to call 303-416-7217. I work with individuals, couples and families, with special interest/expertise in supporting step-families. I'm also fascinated by the intersection between spiritual and emotional wellness. While I work with clients who don't identify as either "spiritual" or "religious," I'm also open to exploring those connections with clients when they find it useful. Therapy tends to be short-term, focused on goals we agree upon together and revisit often. A free 30-minute consultation can be arranged, to make sure there's a good fit. You can find "testimonials" on my website, describing a warm, engaging style combined with valuable skills. I offer a sliding fee scale as needed. 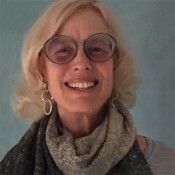 Pat Ogden, Ph.D., Boulder Psychotherapy Institute Distinguished Guest Workshop Leader, is the founder and director of the Sensorimotor Psychotherapy Institute. She has over 30 years experience, teaches internationally, and is the first author of the groundbreaking book, Trauma and the Body: A Sensorimotor Approach to Psychotherapy. Grief and Loss Counselor: Scott has 16 years experience facilitating groups and individuals experiencing grief, chronic illness, and loss. After losing his first wife to ALS, he transformed his grief into action by guiding others to find happiness and meaning in their lives. Scott has worked with a broad spectrum of organizations in the metro-Denver area, including the ALS Association, Brain Injury Association of Colorado, Judi's House (family support for grief and loss), and Cornerstone Drug Rehab. Scott is a Registered Psychotherapist. Having just recently graduated with a Masters in Transpersonal Counseling Psychology from Naropa University, I have a fresh perspective on therapy. My work with clients is heart-centered and holistic, incorporating a variety of approaches and always catering to the needs of each individual client. I aim to offer a safe place to share feelings, explore possibilities, build relationship, and gently heal emotional wounds. Specifically, I have experience working with anxiety, depression, time and stress management, goal setting, self-compassion work, and empowerment. I use techniques such as Gestalt therapy, humanistic approaches, client-centered models, cognitive-behavioral experiments, and Mindfulness awareness practices. 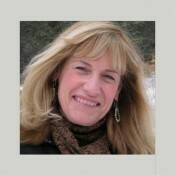 If you are interested in learning more about what it might be like to work with me, please visit www.holobeingllc.com. I am in private practice and have an office in LoHi. My specialities include seeing couples (using the PACT model created by Stan Tatkin), individuals who struggle with eating disorders, and "highly sensitive persons". 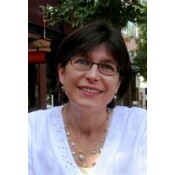 Hello, I am a registered play therapist and licensed professional counselor. I work predominately with children 3-12 years old in my play room, along with my hedgehog (animal assisted therapy), within my private practice, Core Therapeutic Center, in Boulder. I work with children that are experiencing a social, emotional, behavioral, and/or learning problem. This can come out in an aggressive manner, anxieties, depression, excessive crying, isolating, self harm, suicidal ideations, among others. I am a non-directional therapist allowing the child to work through whatever s/he is needing to free up at their pace so to create a safe gentle trusting relationship and environment. While working with the child, I work with the parent(s) and if desired the teacher(s) as well. I have significant experience working with substance abuse, trauma/PTSD, and parenting issues, but have passion working with anyone interested in establishing a sense of power, competency, and comfort in their own skin. I use many modalities, including mindfulness, somatic psychotherapies, and dialectical behavioral therapy. If you find that you feel dis-empowered in your life, due to low self esteem, anxiety, difficulty setting boundaries, addictions, trauma, or any other issue that has caused you to shrink from life and not reach your full potential, contact me and we can work together to help you find and own your power. I welcome individuals, couples, and families. Marcela Ot'alora G, M.A., L.P.C.